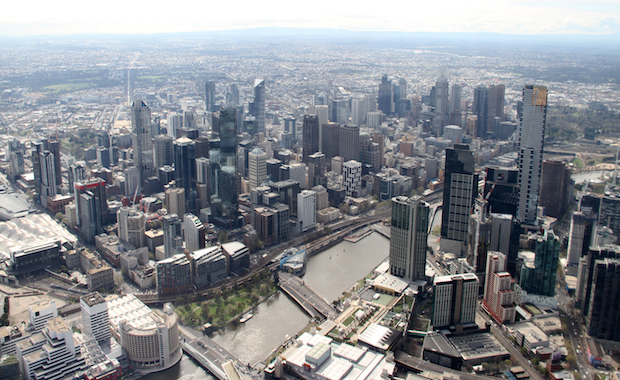 According to CBRE’s latest Office MarketView report, Melbourne had a record year of transactional activity in 2013, surpassing the previous high of 2010. Total investment activity reached around $3.5 billion in 2013, with $1.1 billion of that coming from Q4 CBD sales alone. According to the Office MarketView report, competition for good quality investments was high. Major sales included 735 Collins Street to CIMB-TCA for $279 million, 367 Collins Street to Mirvac for $228 million and 485 La Trobe Street to Lend Lease via Australian Prime Property Fund Commercial for $182 million. During Q4, 2013, indicative prime yields firmed five basis points to average 6.85%. Secondary yields firmed ten basis points to 7.95% with improved interest from buyers willing to move up the risk curve. Claire Cupitt, CBRE’s Associate Director of Research, said CBRE was seeing high levels of interest from overseas developers, particularly Asian, looking to convert office towers into residential units. “While we expect demand to remain strong from prime grade offices in the CBD, the full impact of the challenging leasing environment, high incentives and growing vacancy is expected to be felt in the short term. These offsetting factors should place a break on the further firming of average yields this year,” said Ms Cupitt. In the near city markets, interest still remains high in the St Kilda Road market, with one large transaction in the quarter – 420 St Kilda Road which sold to Chip Eng Seng for $45.3 million. Prime and secondary yields remain unchanged for the quarter at 8.30% and 8.70% respectively. Southbank saw one major transaction, as 158 City Road was sold to a mainland Chinese developer for $22.5 million with a permit for a 43-level apartment developer comprising 449 apartments. The suburban market saw nine assets change hands in Q4, totalling $97 million. The largest sale was 200 Victoria Street, Carlton for $33.6 million in Impact Investment Group. In the office leasing market, Melbourne’s CBD vacancy rate fell from 9.8% in July 2013 to 8.7% in January 2014. This was largely due to withdrawals of stock for refurbishment or residential conversion rather than a recovery. The CBD recorded just 857sqm of net absorption over 2013, although the Docklands precinct performed well, with 97,961sqm of net absorption over the year. This was due to several corporate companies consolidating their operations including NAB, Marsh Mercer and CBA. As a result of consolidation and contraction mandates, sublease space continues to impact the market. The report estimates 77,392sqm of sublease space is available as of December 2013. The Finance & Insurance, IT & Government and Education & Health sectors account for 64% of the total supply of sublease space. In the St Kilda Road and Southbank markets, there is no new supply in the pipeline. In fact, due to a number of sites being earmarked for residential development, vacancy levels should ease as these developments commence and office stock is withdrawn.